I have a special treat for y’all today! Tyler has written an awesome guest post. I added in one editor’s note, but I just barely refrained from chiming in on each part of her feminist book list. I’ve actually read every single book she’s recommended, and I concur with her thoughts. If you decide to click on any of the book links and buy something from Tyler’s feminist book list, I will receive a few pennies from Amazon. Hi, Belle Brita readers! I’m Tyler, and I blog over at An Aspiring Heroine. I’m so excited to be on Brita’s blog today because she really is like the older sister that I never had! We’re both a little nerdy, we love to read (especially Philippa Gregory), and we recently flipflopped between Georgia (her new home) and Ohio (my new home). My personal favorite posts of Brita’s are her unapologetic thoughts on feminism, sexism, and everything in-between. I’ve recently become more comfortable in my feminism, so I knew that I wanted to spread my wings even further with today’s post. 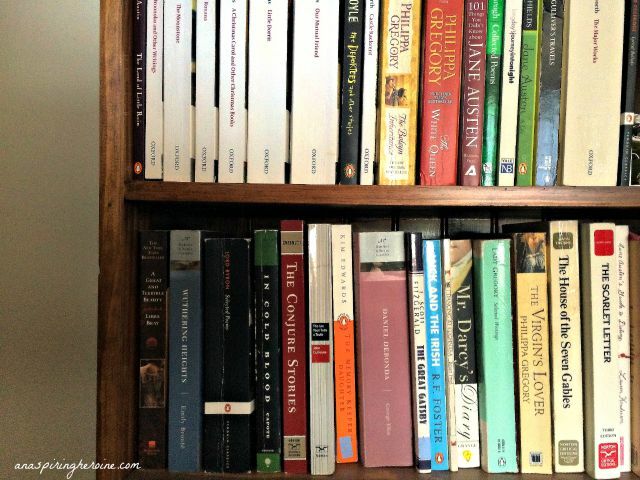 Over at my blog, I talk a lot of literature (check me out on Goodreads! 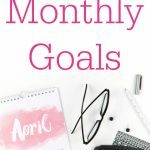 ), and book lists are kind of my thing, from classics to pack in your beach bag to books that will help you through a break up. 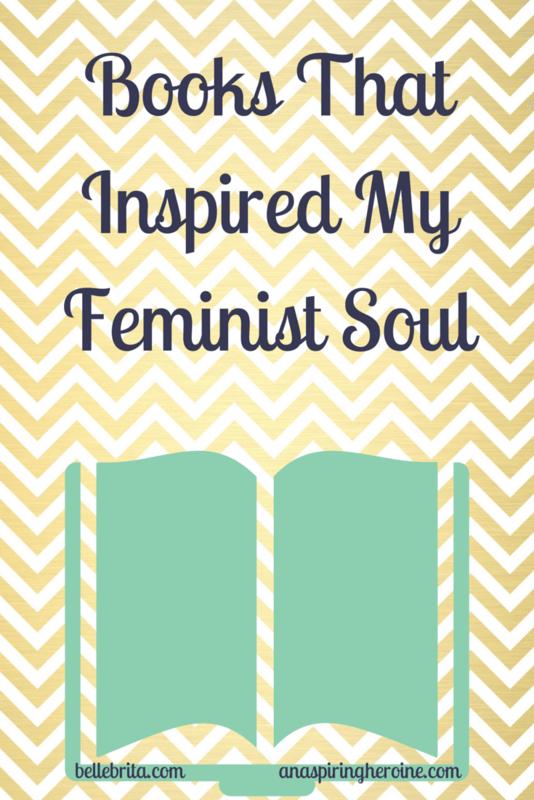 It made me think: What are some of the books that have influenced my feminism? From childhood to present day, here are the ones that made a lasting impression! When I thought back to the books that had influenced my feminist brain before I even knew what the word “feminist” meant, the Dear America books immediately came to mind. Even as a kid, I loved history, and I devoured these diary-style books about strong, intelligent girls who lived through some of the most significant periods in American history. The Mayflower, the Oregon Trail, Titanic, the Civil War; these young women struggled and thrived, and reading their stories as a girl made me feel like I, too, could handle anything that was thrown my way. They also have a Royal Diaries series about awesome queens, princesses, and other female rulers through history, and both series have been relaunched in the last few years if you’re looking for something for the young feminist in your life! (Ed note: Not only did I own every single Royal Diaries book that was published by 2005, I also met author Kathryn Lasky when she did a reading in Paris). Written by Jerry Spinelli, Stargirl is one of those books that I come back to again and again. Stargirl, the new girl at Leo’s school, is 100% her own person in an environment that relies on conformity. Sound like anyone else’s middle school experience? Yeah, mine too. What I loved about this book is that both Stargirl and Leo, the narrator, learn the importance of being true to oneself when they realize how unsatisfying it can be to follow the crowd. Also, it really highlights how uncool it is to change who you are for a guy, which is a good reminder for any teenage girl. I am a huge fan of fantasy novels, and my high school years were filled with J.R.R. Tolkien and J.K. Rowling. One series that flew a little under the radar in a genre that tends to be dominated by male characters is the Gemma Doyle trilogy by Libba Bray. Made up of A Great and Terrible Beauty, Rebel Angels, and The Sweet Far Thing, the trilogy centers around an English boarding school for girls in late nineteenth century. Gemma Doyle is plagued by clairvoyant visions and finally learns that she is a member of the Order, an ancient society of women who can open passages to different realms and weave illusions. Gemma and her friends work together to fight against an evil presence in the realms as well as the Rakshana, a group of men that mean to keep the women from using their powers and stop magic from entering the human world. I read this book right before leaving for college, and it only increased my love for dystopian fiction. It was the first dystopian novel that I’d read which focused specifically on women and the things that could happen if the idea of women as lesser became a viable opinion in a society. Margaret Atwood’s famous novel brought to mind all sorts of questions about women’s roles in society, fertility and childbirth, and class. It’s one of those novels that leaves a mark for sure. As an English major, I always felt like I was a little late to the Jane Eyre party! I read this novel halfway through my college career and instantly understood why so many of my female friends were in love with it. Jane comes from literally nothing, but through an emphasis on education, morality, and her own self-worth, she is able to escape the poverty of her youth without losing her autonomy. Her relationships with the men in the novel, from Mr. Rochester to St. John, never compromise her integrity, which was a powerful example for me as a woman living in a much more tolerant environment than Victorian England. I actually read this novella pretty recently as a part of the book club link up that I host every month. You can read my entire review of Kate Chopin’s most significant work, but just know that it set my feminist heart on fire more than I imagined it would. As a character, Edna fascinated me, and her lack of agency over her own life in turn-of-the-century New Orleans made her transformation even more powerful. I won’t ruin anything for you, but I will suggest that you read this book… along with the rest of the ones on this list! What are your top books for the feminist reader? I’m always looking to add to my must-read list! P.S. Don’t forget to fill out my reader survey and enter my giveaway! Tomorrow is the last day of the giveaway, so enter ASAP!